We want the world to focus on children whose lives have been devastated by AIDS. The millions of children who are missing their parents; their childhood, their future but most importantly, they are missing YOU. Everyone can make a real difference. Your voice is needed in a global movement that can change their world. Christopher is still very lost . Shockingly so. I know where he is, but he's having a hard life. I can only have strong faith and believe he will recover. He has tested everybody in this family but none more so than himself. He knows how to get out. He doesn't want to. You never completely cut them off, but I have cut Christopher off. I had to say, 'Go get busy living, or get busy dying'. He has my prayers. The older you get the stronger you have to get. Getting old is not for sissies. We owe it to our children to be better stewards of the environment... The alternative? A world without whales. It's too terrible to imagine. It never felt real to me. I never felt I had complete ownership over Bond. Because you'd have these stupid one-liners - which I loathed - and I always felt phoney doing them. I want to have a voice. I want to be able to vote for John Kerry. I found a whole new life and identity in America. But, my heart and soul will forever be Irish. Some people have a tendency to get knocked down in this business and sulk and whine, and they just create a rod for their back, really. You have to have broad shoulders and get through it. Acting allows me to explore new worlds, to discover characters by delving into their lives and ultimately to become someone else entirely. This man called President Bush has a lot to answer for. I don't know if this man is really taking care of America. This government has been shameful. New Updates! (4/25/2019) We've been working really hard on completing our membership system so you can submit quotes and keep track of them. Once this is complete in the coming weeks there will be a lot more quotes by Pierce Brosnan and other authors. We've also changed the sorting on the site so you now see the latest Pierce Brosnan quotes first. 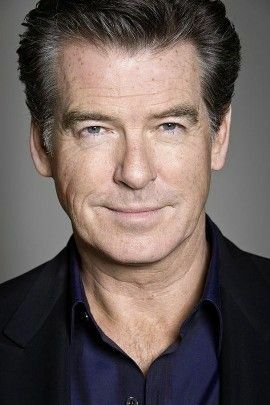 Our goal is to have the best Pierce Brosnan quotes on the web!